I first learned about Kanebo from my mom way back when I was grade school. Watching her use it as I grew up, it was also the brand I sought when I started buying my own makeup. The price was out of range for my student budget though so I gravitated towards the more affordable Kate Tokyo (it was simply known as "Kate" then). Kate Tokyo doesn’t get as much attention as other Kanebo brands like Lunasol and Impress but it's like Kanebo’s chic, trendier sister! It offers the same high quality expected of a Japanese heritage brand but at a price that's on the pocket. This season, Kate Tokyo is releasing some new products and improving on their existing ones as well. Let's explore! First up, the brand is releasing a new line of complexion products called The Base Zero that are formulated to create a luminous, second skin-like face base. To prime the skin, there is the Secret Skin CC Base (P600) with SPF30/PA+++. It looks light in tone when squeezed out from the tube but goes on sheer when blended out. It brightens the complexion, helps reduce pore visibility, and sets quickly on the skin, too. The line includes both liquid and powder foundation formulations called the Secret Skin Maker Zero, which are available in six shades each. The Secret Skin Maker Zero Liquid Foundation (P960) offers medium, buildable coverage. It blends on the skin easily and feels lightweight on the face. It also has SPF 18 PA++ and is fragrance-free! Floe Tapayan, chief makeup artist of Kate Tokyo, also shares that you can use your fingers to apply the foundation for a fuller coverage. 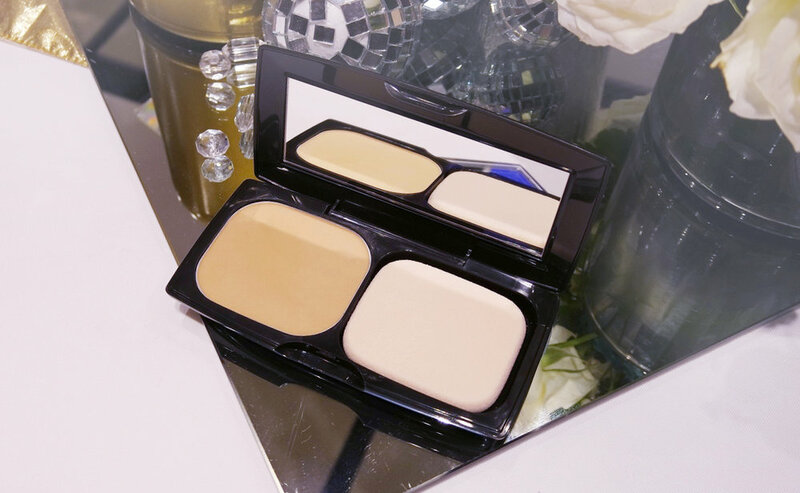 The Secret Skin Maker Zero Powder Foundation(P720) is ideal for oily skin. It offers long-lasting medium coverage and very good oil control! It has a brightening effect from the very fine shimmer but it isn't that noticeable on the face. The powder is very finely milled and glides on the skin smoothly. Kate Tokyo is also adding three new shades for its Metal Glamour Eyes (P840) eyeshadow palettes. 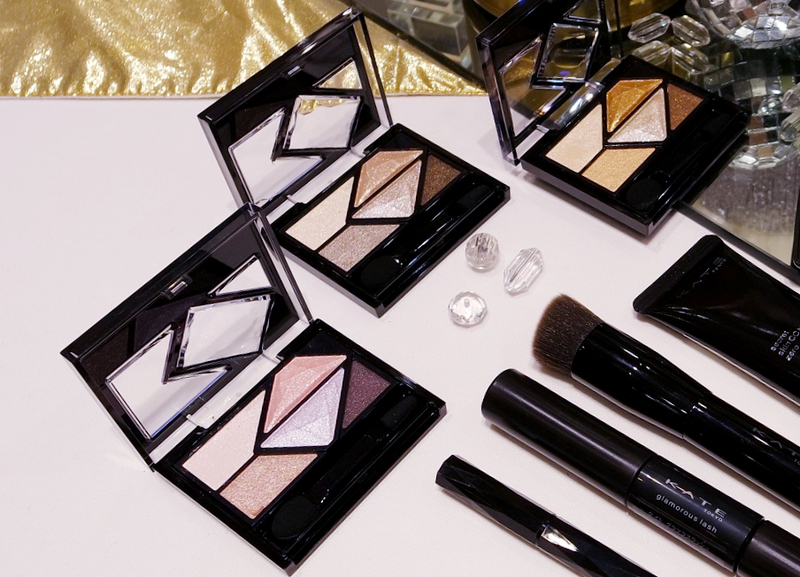 The eyeshadow trend in Japan right now is adding metallic shine as an accent to dark, smoky colors. The trick is to use neutral colors in a horizontal gradient look, adding a dark, metallic color on the outer corner of the eyes to make them look more deep-set, and then finishing off with a glittery, shiny color on the center of the lid to make eyes look more wide-awake. The result is larger looking eyes with a deep, lustrous look. Lastly, the brand has revealed improved formulations on a few of their existing products. The classic Super Sharp Liner EX (P660) got completely redesigned with multi-faceted cuts to better fit fingertips and make drawing liner easier. Kanebo even partnered with Pentel Co. Ltd. - of permanent marker fame - to develop the fine tip which dispenses a smudge-resistant, film-forming ink that washes off easily with warm water! The Glamorous Lash (P840) also has a new formulation. It’s now a double-ended mascara with a volumizing base on one end and the actual mascara on the other. The base contains volumizing fibers that are applied with a mini wand, and it has a bluish gray color to make the mascara look darker. As for the mascara, the curved wand makes for easy application. It comes off easily with warm water as well. There's no word yet on when the products will be officially available but they're definitely worth checking out if you're looking to add high-end quality but affordably priced products to your arsenal. Keep checking Kate Tokyo at selected SM Beauty stores, Watsons, Landmark, and Metro Gaisano Cebu so you won't miss it!